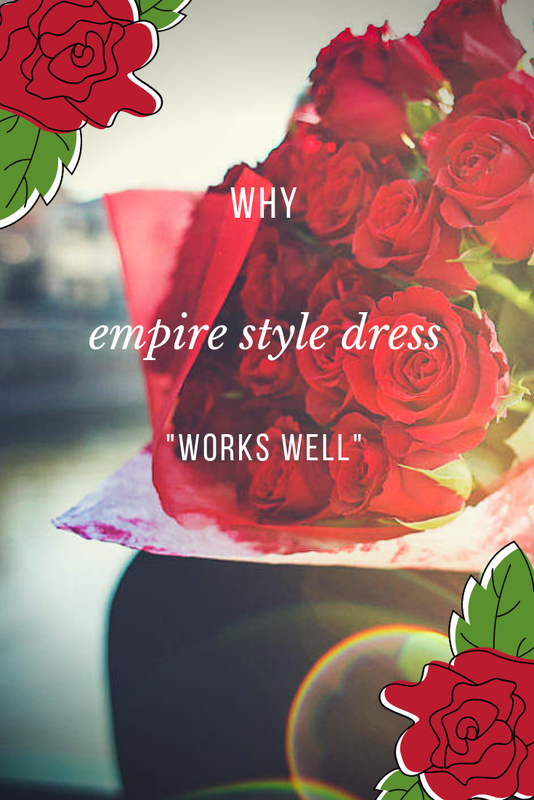 Why Empire Style Dress "Works Well"
To everyone his own dress, and I've surely found mine. 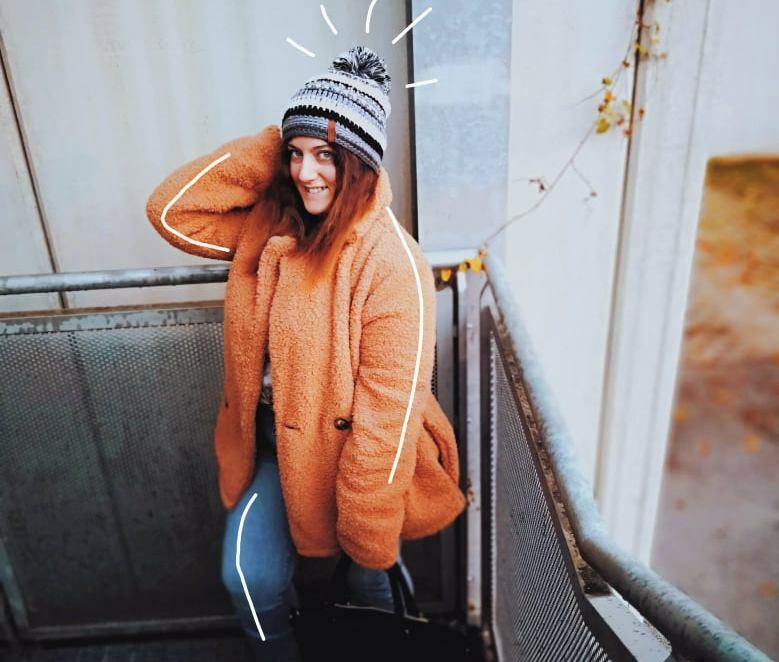 Clothes shape can enhance or, on the contrary, diminish the body, so it's important to find out which one suits the best your physical conformation. Today we're gonna talk about empire style! This kind of dresses are characterized by a very high waist, usually under the breast, and skirt which falls down soft and straight. They're perfect for disguising hips and belly while emphasizing the bust. They slender the figure - this style is my #1 ally for the purpose by now! - and they're wonderfully suitable for those who have a round body shape, but not only for them! 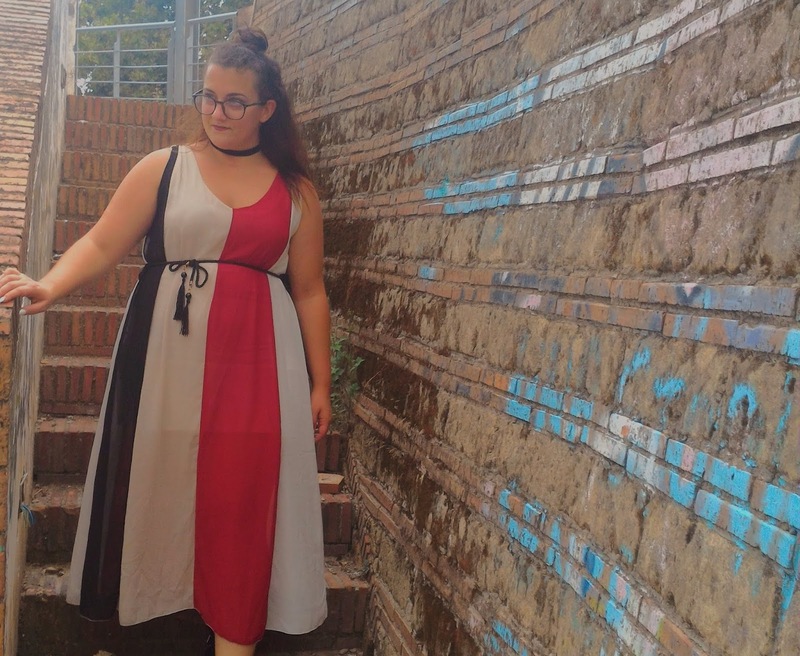 This dress cut, in fact, has the peculiarity of being very simple and adaptable, so it's also fine for those who simply want to enhance the décolleté or need to "stand up" a little more. Be careful: if you have a rather prosperous breast you would put it even more in the foreground, so it's better to choose another kind of cut if your purpose is to harmonize your shapes. Remember to choose a design like this if you need to slim your silhouette: vertical bands, maybe in not too bright shades, help a lot! In addition, I find the transparencies very feminine, 'cause you can glimpse the legs through the fabric; the rest of the body is covered, instead, by the inner lining. A medium shoulder bag, maybe in patent leather - why not - is perfect for a daytime look; for the evening, a little crossbody or a clutch. I matched one of my She In choker* to recall the same fabric of the shoes - I love this kind of details :) - and I preferred to style the hair in a half-bun to give even more the illusion of height. HEY, I CARE ABOUT YOUR THOUGHTS! 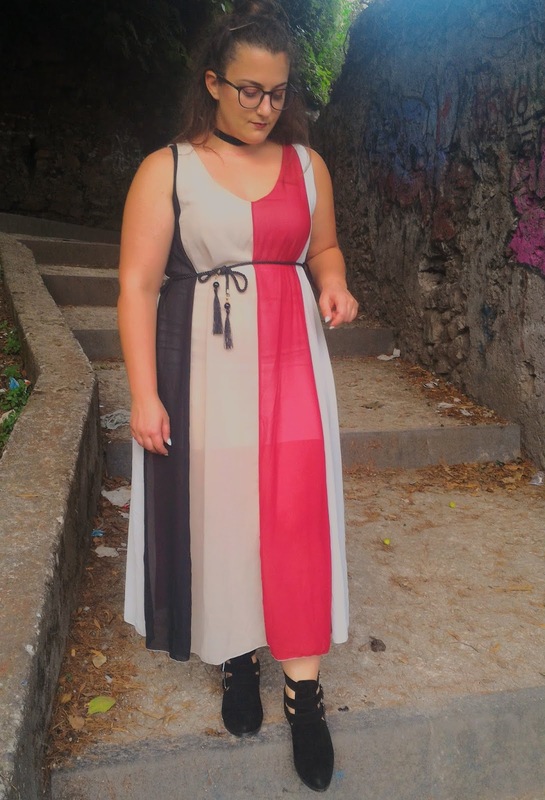 DO YOU LIKE THIS DRESS? WHAT'S YOUR FAVORITE STYLE? CAN I ASK YOU A TINY FAVOR? Maybe you think it's not important, but it is for me, REALLY MUCH! Without your shares, I couldn't go on doing this. A share doesn't take you long, and you would help me a lot, so click on the share button and let your friends know about Color Me Fall! Thank you so much, you're totally awesome! I love empire waists! They are so universally flattering and look great. 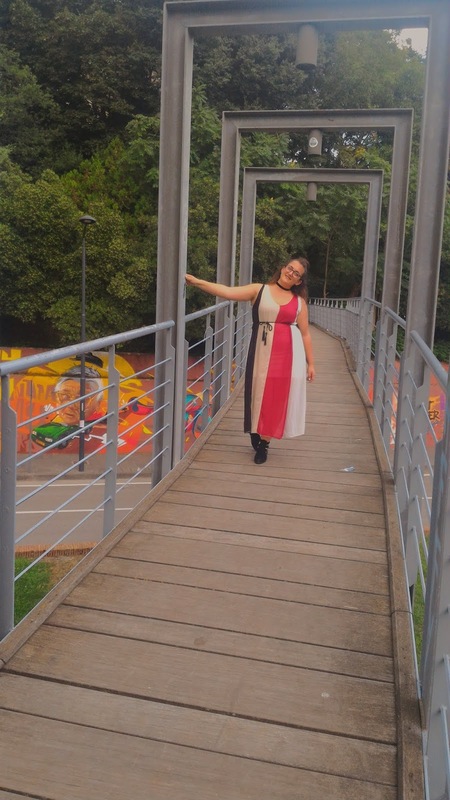 I love the dress you're wearing in this post!